The wind was-a-blowing. It was honestly nerve racking. I told the team, add about 30 minutes to your expected bike time. We are gonna have a killer head wind coming back in. Fortunately MANY of our group training rides were similar. Once, we rode over an hour out against the wind excited for the relief upon turn around when suddenly it all shifted and we ended up with a stronger headwind all the way back. My point, we were prepared for the wind! And guess what, it had NOTHING on us!! Smiling and rolling with no worries (^^ looks like I've got a drafter too!). 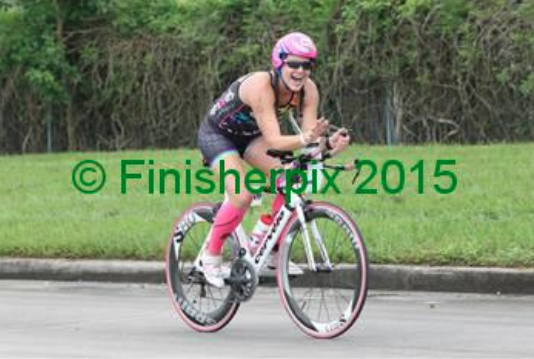 The NOLA 70.3 bike course was one big out and back (ish). Very flat with two over passes. The first few miles of road were rough but the rest was smooth. 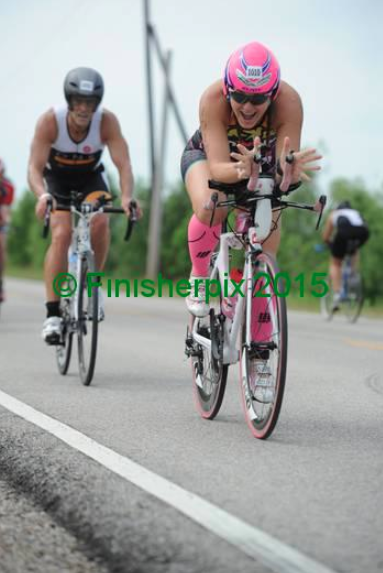 There was some serious headwinds, but rather than slow me down, it seemed to speed me up! I felt the wind and I felt my confidence. I soared! (plus I was so happy about my swim I was kinda on a high...). There was tons of energy and speed on the course. Even at 20mph, athletes were zooming by me with their high dollar bikes with discs. There was also a lot of drafting going on. Hey, I'm no official so what can I say!? Cheaters gonna cheat. It was honestly hard not to get sucked in by a peloton when they zoomed by (that's how beneficial a draft line can be!). It literally sucked ya in and there was no getting out of it with the limited lane space until someone forced ya out of it or something split the line up. Trying to avoid those, I kept a solid 20.34mph for an official time of 2 hours and 45 minutes. My quickest 70.3 bike time to date! Woop! My favorite part of the bike ride, being able to see everyone on the team (in fact, the above picture? That's Molly in the blue!! 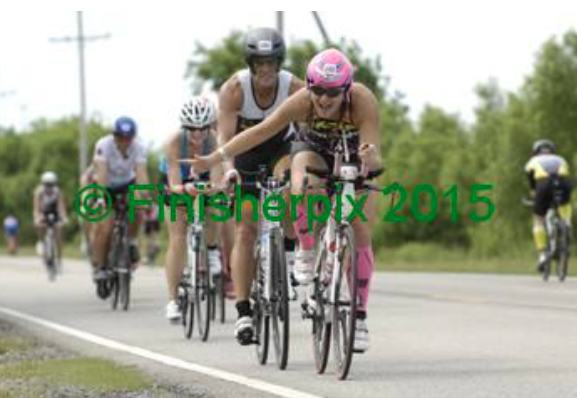 And yes, that guy is totally drafting me. Still.)! I saw Brandon first. He looked strong and happy; a quick pass and wave. Next up was Page. A shout out across the street; feeling proud!! It wasn't long until I was upon Ed and Molly (I never did see Charlene). I rolled up on them at the same time and I was moving fast next to a group moving fast <--- one of those times if I did anything stupid, everyone would have gone down. So I just shouted some good positive words their way and kept moving. They both looked strong and had big smiles. Seeing them gave me that added motivation to see the wind and do it anyway (my favorite motto for a windy bike ride ~ I see you wind, and I'm not scared!!). The final stretch in was probably the hardest. Direct headwind, the bumpy road, the final over pass, and then IN. In always feels so good.